Let's Get Ready To Trick Or Treat And Party! The year is rapidly coming to a close, and for of you, Halloween marks the beginning of the holiday season. Over the years, Halloween has become a several-night affair instead of a grand, one-night party. With so many excuses to dress up, it's important that you look your spookiest. If you haven't already found your costume, there are plenty of opportunities to find the perfect one in town. Luckily for you, I’ve rallied up the 10 best spots! This store is the largest of its kind in the area. Find an extensive selection of costumes and plenty of accessories to complete your look. 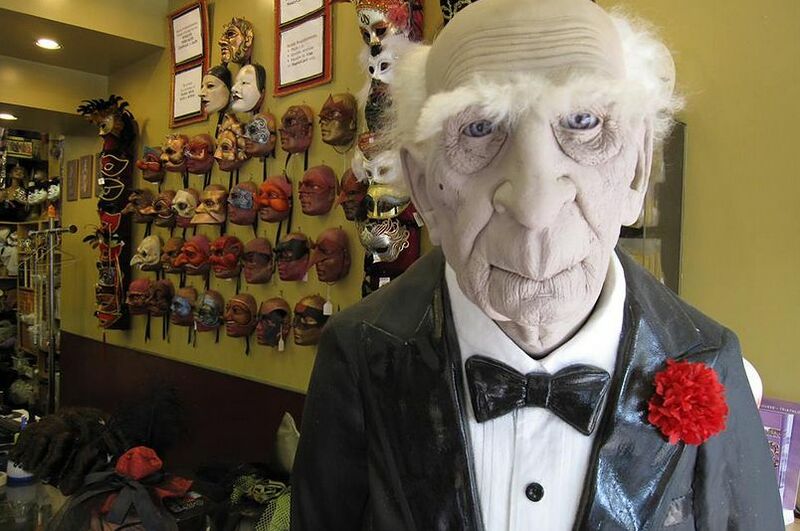 Widely-known as Bingo Vézina, this is your one-stop shop to get an array of costumes and decorations. It’s a little far by transit -- so make sure to visit the adjacent Métropolitain Flea Market on your visit. Looking to rent an elaborate renaissance, Victorian or even a sci-fi get up? Malabar is the way to go! Looking to accessorize or add some finishing-touches to your spooky wardrobe? Head over to the Dollarama and shop through their Halloween trinkets to elevate your costume. Conveniently located in the village, Moulin Rouge offers wigs, accessories, funky sunglasses and anything to finish up your look. And if you need a costume start, they’ve got that also! This downtown two-story shop features every costume imaginable. Get ready to dig! Get daunting deals on complete looks by shopping at one of the 6 Village des Valeurs on the island. Most of the costumes are new or hardly used. Your go-to visit for everything Halloween: decorations, costumes, accessories, wigs, masks and such. Visit their website to know the closest location to you. They're so much more than just beautiful balloons. Yes, you can shop all your party supplies here (balloons by the dozen... no, wait: the hundreds!) but did you know that during the Halloween season, they offer some wicked costumes, too?! Get your shopping on! If you think Miley Cyrus brought back the animal onesie, be fooled. Since 2011, this Montreal-based shop has been creating crazy onesies. Bonus points if you can reuse yours for Netflix night!